Reignite your passion for medicine. In order to participate in the evolution of primary care infrastructure, we as physicians must also invite an evolution in the way we practice medicine. As a creator of health ecosystems, Wellsmart is very aware that any biosystem is driven from the climate that feeds and nourishes it. Essentially, the healthcare climate is driven by the outward energy projected by each contributor. Wellsmart’s philosophy is that we must know ourselves in order to be the best healthcare providers possible, and so we can always be more authentic representatives of our highest self. We understand and advocate that the energy of love, compassion, and inspiration fuel an ability to see more solutions that have potential for presenting unified fronts. As a result, Wellsmart approaches implementation not just from a philosophical core belief, but also by bridging the implementation of this belief through integrative education and coaching. As a physician-led company, Wellsmart’s projects are built around a core passion to rebuild healthcare infrastructure sustainably at every level. We have intimate knowledge of the confusing structure of healthcare and so we can navigate with confidence, choosing to keep what works and leaving what doesn’t work behind. Due to our team’s substantial experience within the currently frustrating healthcare system, we know what it takes to prioritize what is important- by enriching and supporting this most sacred relationship between patient and healthcare provider: the true center where wellness happens. Learn how to institute technological changes to allow you to move out from institutionalized medicine. From portable micro-clinics using provider friendly, cloud-based electronic health record systems, availability of lab-on-a-chip technology, apps that allow you to customize your practice wherever you are, and Wi-Fi enabled medical instruments, you can undergo your own technological renaissance now. How can you take action now? Get involved! Contact the team at Wellsmart to learn more about our vision and upcoming projects. Send us an email to let us know if you would like to work with us. We will be hiring soon for all positions. Wellsmart is partnering with designer/developer Nathan Tanner for the development of EPC: a wellness space where patient care can thrive. E.P.C stands for “Expeditionary Preventative Clinic,” and it was featured at Exponential Medicine’s Innovation Lab as a 3-D printed model. Now, with three patents pending, we look towards building the prototype. Wellsmart is excited to announce that we have received federal approval and recognition as a woman-owned, veteran-owned business. We are excited to now offer healthcare design solutions for government, and military contracts. We have partnered with Nuphysicia to offer highly advanced telemedicine systems to the Air Force in order to provide tools that offer greater physician reach and accessibility to patients. With this telemedicine system, patients are fully examined, and the physician can see the real-time results in high definition, including heart/ lung sounds, ears, eyes, nose and throat images plus much, much more. This system allows a single physician to extend their services over multiple health clinics at one time, thanks to technology within the health record system that allows the physician dashboard oversight of all monitored waiting rooms. 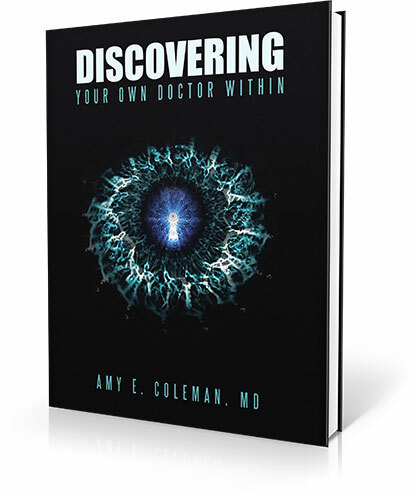 Fill out the form below to subscribe to our newsletter and receive a free download preview of Dr. Coleman’s newest Book, Discovering Your Own Doctor Within.